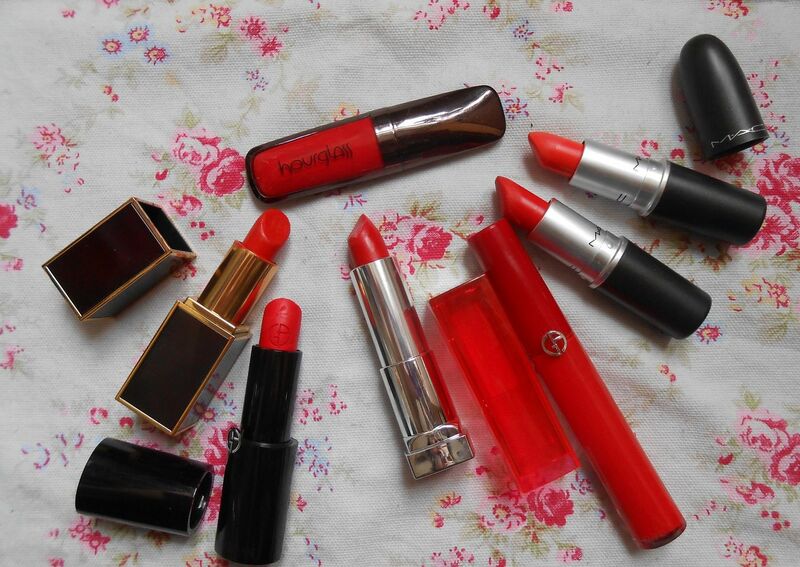 Orange red lipsticks are a current obsession of mine… they look pretty, they suit my colouring and they make me feel fierce! My all time favourite is Lady Danger, which I wear all the time and I love it. First up! Tom Ford’s Wild Ginger is definitely the most expensive, and luxurious. This is definitely a treat purchase, but my god I feel like a rockstar when I pull this out of my bag. The packaging is gorgeous and the finish is like the MAC Amplified range. The colour is divine, it’s the perfect ratio of orange to red and it’s just a treat to wear. Next is Hourglass’ opaque rouge in Raven. This is a liquid lipstick, and more red than orange but it really brightens the complexion. Third is MAC Morange, which is more of an orange red compared to the others, and is definitely bright. This one is definitely perfect for people with blue eyes, it makes them really stand out. Next up is MAC’s Lady Danger, my favourite! It’s just so gorgeous. If traditional reds scare you then you should try this, it’s a really fun colour and it makes me happy. I wear this a lot of the time, especially if I’m not wearing much makeup and I’m in a rush, as it makes you look done in one quick swipe. The matte finish means it hangs around for ages. After that we have the Giorgio Armani lip maestro in 401, another liquid lipstick. This was a Christmas gift from my boyfriend, so it has sentimental value as well. This is really unique, it’s so creamy but dries to a satin finish. 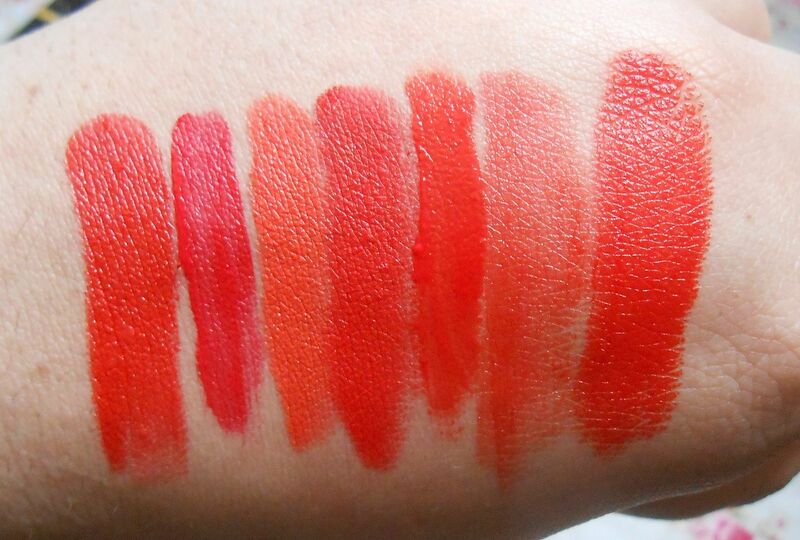 Next is the newest addition, the Maybelline vivid colour in Neon Red, which is a great option from the drugstore! It’s not as opaque as the other ones, but it gives a nice sheeny finish and is amazing quality for the price. Lastly is another Giorgio Armani, this time a Rouge d’Armani in 401 (again). This is basically the traditional lipstick version of the other liquid lipstick, but I picked it up in a blog sale and a bit of Giorgio Armani makes a girl feel special! Do you like orange-y reds?